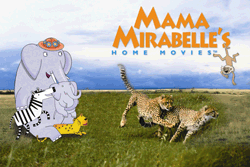 Home » Mama Mirabelle: The BBC and National Geographic combined animation and natural history footage for this children’s television series. 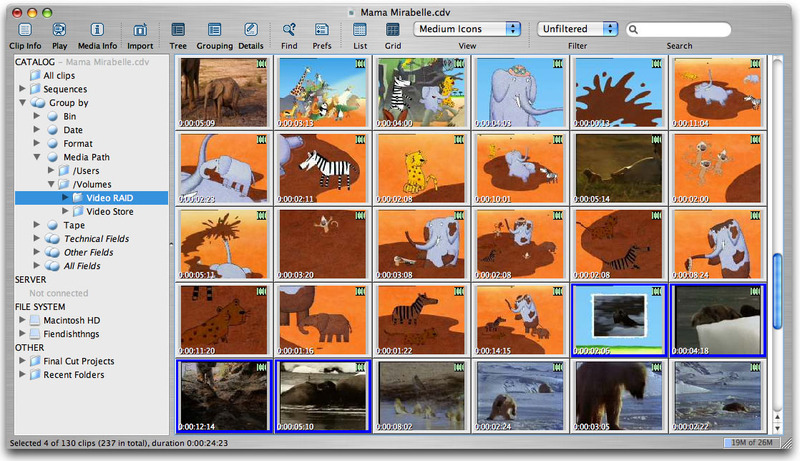 National Geographic, King Rollo Films and the BBC produced 52 x 11mins children’s series called Mama Mirabelle’s Home Movies which combined animation and natural history footage. “King Rollo Films faced several challenges when embarking on this project. We would be organising, logging and editing footage from National Geographic and BBC libraries and needed a system that would greatly expand the clip management features in Final Cut Pro. After researching various solutions we gave CatDV a try out. We quickly established a workflow whereby we can carry all metadata associated with each clip all the way through the production process from logging until final delivery report (in the form of an Excel document). What impressed us most about CatDV is how, through consultation with Square Box, the software has adapted to our needs. Suggestions we have made have been implemented quickly allowing us to achieve an effective and streamlined workflow. We have built up our own library of footage here so we can instantly locate a clip based on log notes and import that clip into Final cut with one keystroke. The integration with Final Cut is excellent and with the use of XML we can keep track of our assets and cope with royalties and copyright issues.